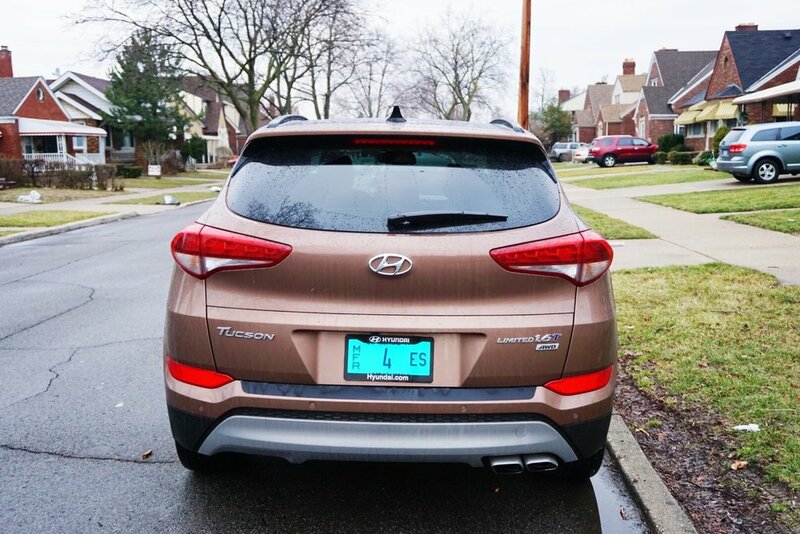 The 2017 Hyundai Tucson was one of my favorite cars to test drive to date. Thanks to DriveShop for the opportunity! 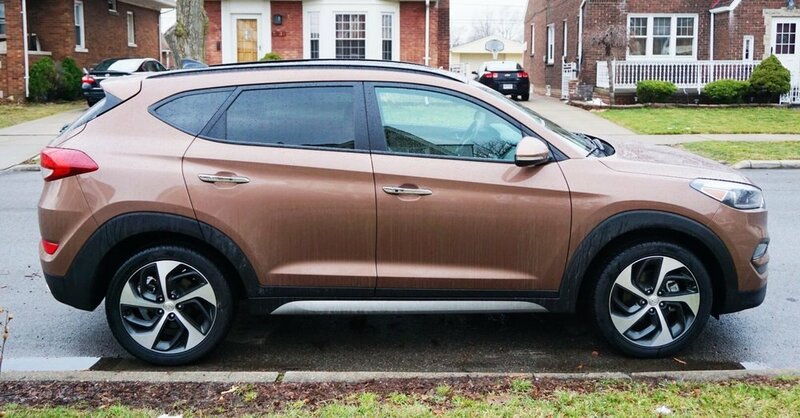 This compact SUV is loaded with features any mom can appreciate, especially this one. I loved how sporty yet functional this car is and it fits my personality a lot better than others I’ve reviewed in the past. The 2017 Hyundai Tucson is a great option if you’re a busy mom like me. It has great storage, amazing safety features, technology I can easily control, and lots of room for everyone riding along. My son’s personal favorite feature was the enormous panoramic sunroof, but I’ll talk about that a little later. My little one is often with me running errands or taking quick trips when he’s not in school. So when it comes to features I look for in a future car, I need one that performs at its best and is fully equip with safety features I can rely on. There were several that I enjoyed including the lane change assist and departure warning, rearview camera, automatic emergency braking, blind spot monitoring and more. 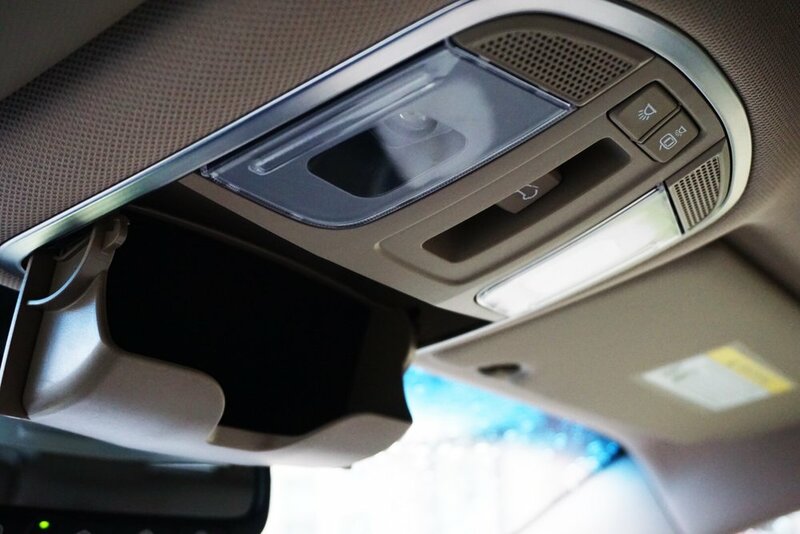 The sensors and cameras on this car made it easier to have a peace of mind while driving. Sometimes you don’t expect a car to come speeding behind you while reversing out of a parking spot or you may even get slightly distracted and veer a little out of your lane. These safety features help detect when there’s a driver in your blind spot or behind you while you’re reversing, and it provides and audible and visual alert so you can be careful. I never needed to use the automatic emergency braking with pedestrian detection, but it is a great feature to have. The brakes are applied automatically (in some cases even to a complete stop) if your car gets too close to another. 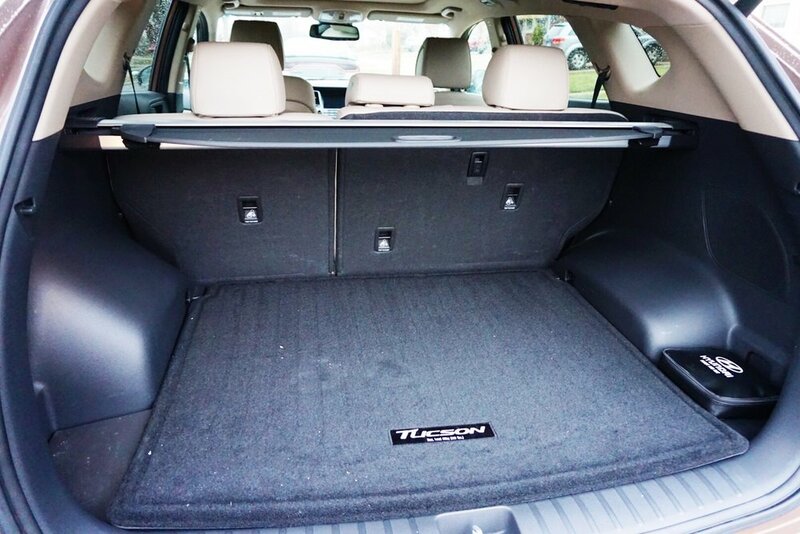 A problem that I had with a previous car I was test driving was that although it was similar in size to the Hyundai Tucson, there was very limited leg room for the second row passengers. I was thoroughly surprised with how much space there was in this car. My passengers had plenty of leg room and seating space. There was also a compartment in between the seats that drops down to hold any drinks they may have. 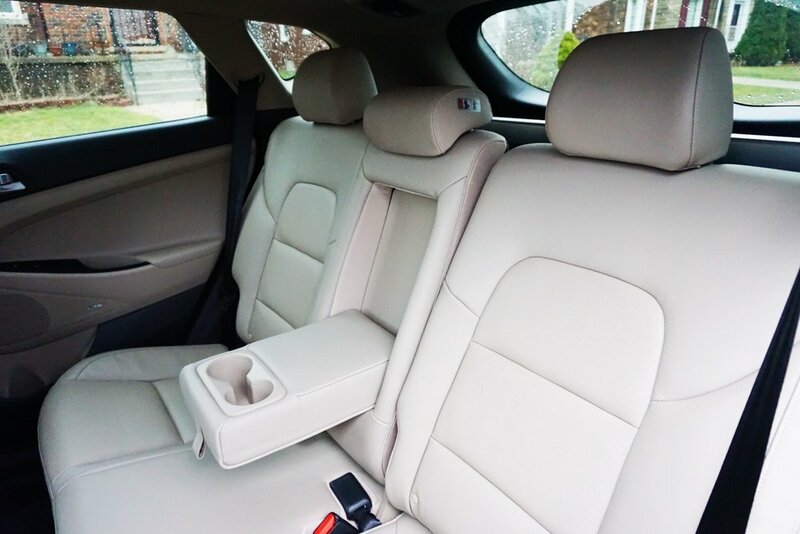 There is available ventilated front seats and heated rear seats, how awesome is that? They really loved that feature. The seating fabric is also stain and odor resistant, and if you have brothers who play sports and can get incredibly sweaty and smelly afterwards, you will appreciate this feature just like me. 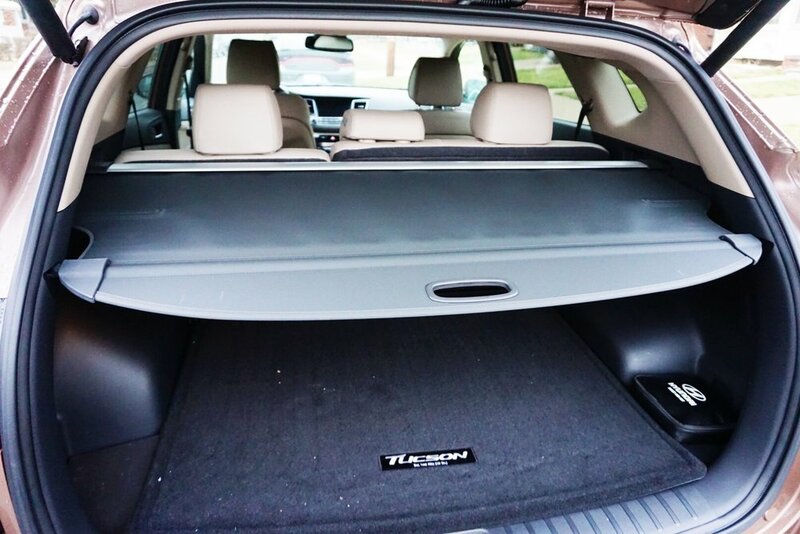 I really liked how big the storage space in the back of the car is as well. Even while the seats are up, I had enough room to store away all of my groceries and school bags. If I folded down the 60/40 split seats, there was even more room to store away mores stuff. I’m thinking this car would be amazing for a road trip this summer because it could easily carry all of our luggage and coolers! The Hyundai Tucson is one of the most comfortable cars I’ve driven and my passengers all agreed. There is dual automatic climate control that allows you and your passengers to control their preferred temperature settings. I loved the accessibility features on the steering wheel, which made is easy to control settings for audio and cruise controls. I can easily answer phone calls, change music, and settings without taking my hands off the wheel. This feature is so convenient! I usually play songs through the bluetooth feature, but there is also a built-in smartphone/USB auxiliary input jack if you wanted to access your phone through the audio controls that way as well. The large 8-inch display screen makes it easy to view the navigation system which updates in real-time, allowing me to better plan in case of any road blocks or construction-cased traffic slows. There’s alternative routes available and the voice guided directions makes it easy to pay attention to the roads as well. You can also view the navigation above the steering wheel as well on a smaller display screen to help keep your eyes on the road. 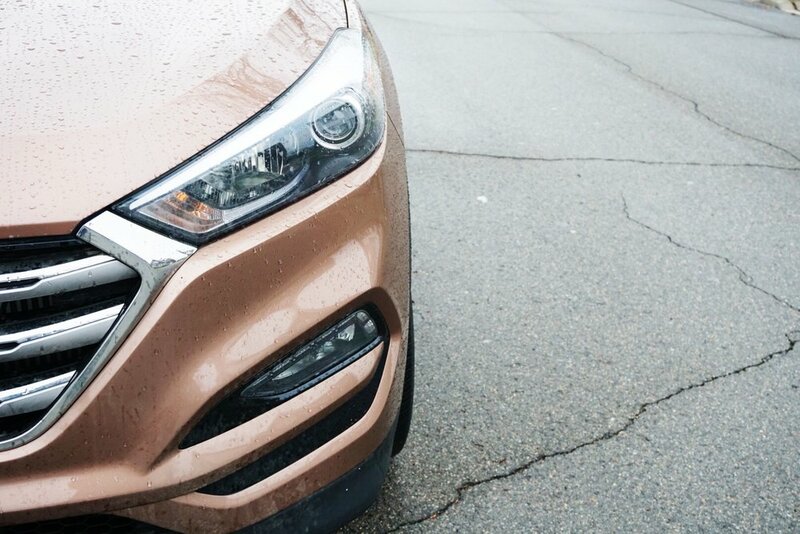 The Hyundai Tucson is sleek and sporty and the exterior features really help make this car stand out against the rest. I loved driving the Tucson at night because the headlights made the roads more visible than other cars I’ve reviewed in the past. The HID headlights include dynamic bending light, which is designed to turn the headlights in the direction of the curve and you turn the steering wheel. This helps keeps the road very illuminated while you’re driving around curves and bends, helping you to see more clearly. This feature was so helpful. Another feature I loved was the hands-free smart lift-gate which made putting everything away easily when my hands were full. 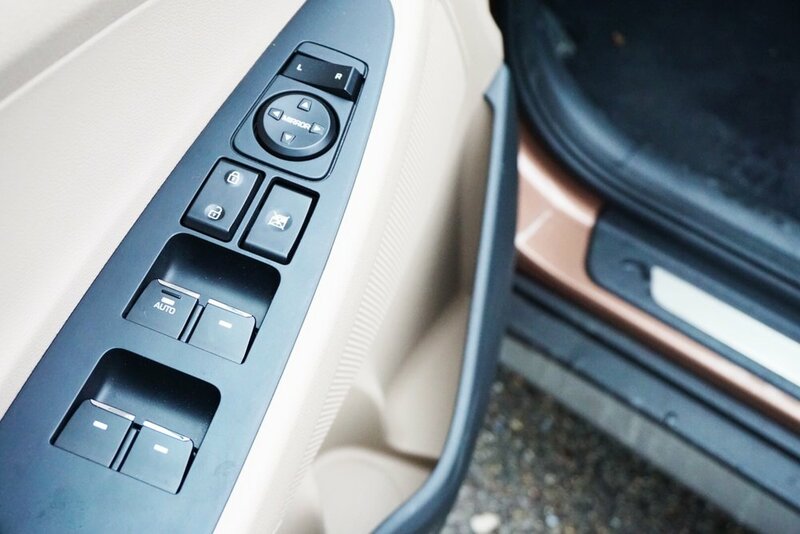 It allows the Tucson to sense that the Proximity Key is behind the car within 3-ft for more than three seconds, and then automatically opens the lift gate so you can easily put away groceries or whatever else you need. How awesome is that? 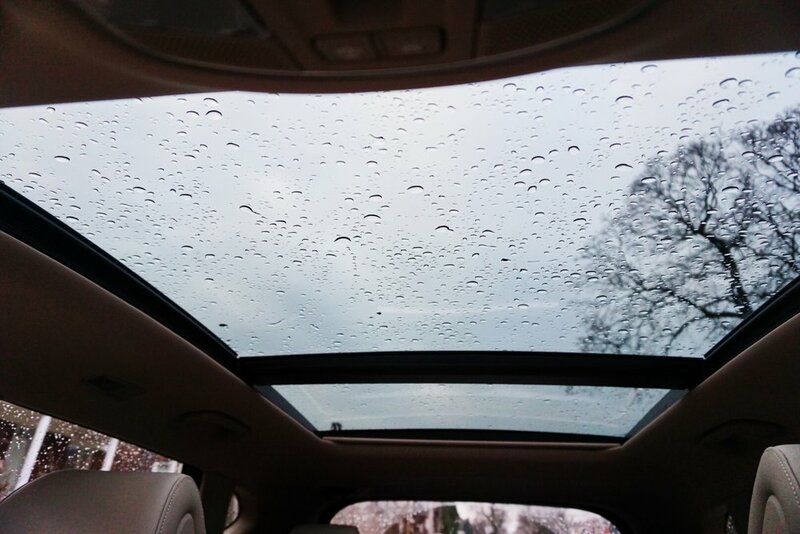 Lastly, the panoramic sunroof– my son’s favorite feature. For starters, I wasn’t expecting this sunroof to be so huge but it was and it was amazing! The sunroof extends from the front seats all the way to the back. 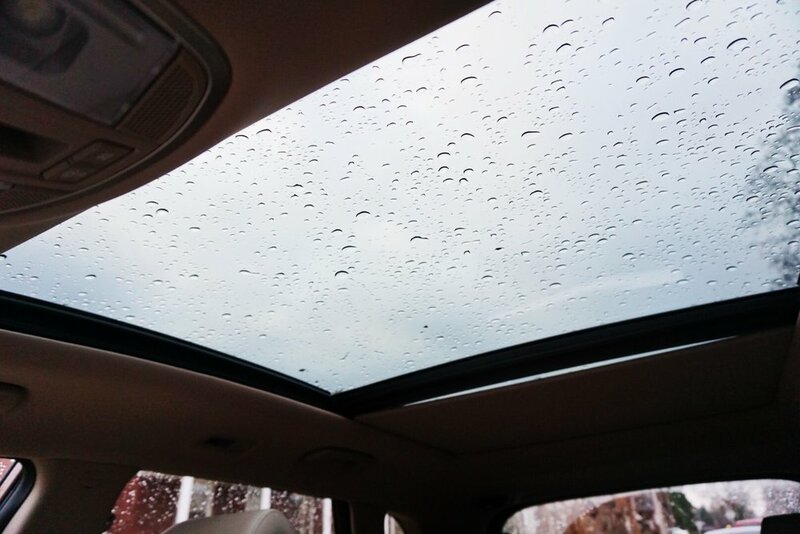 If you’re looking for more fresh air, look no further than up with this panoramic sunroof. I loved using it at night to get a nice view of the stars and moon for my passengers. It is gorgeous and I’m glad they included it in the Tucson. Overall, I really enjoyed the Hyundai Tucson. It is a great family car and I can see myself taking a lot of trips with this car. There is so much space and room for storage as well as enough leg room for my passengers. 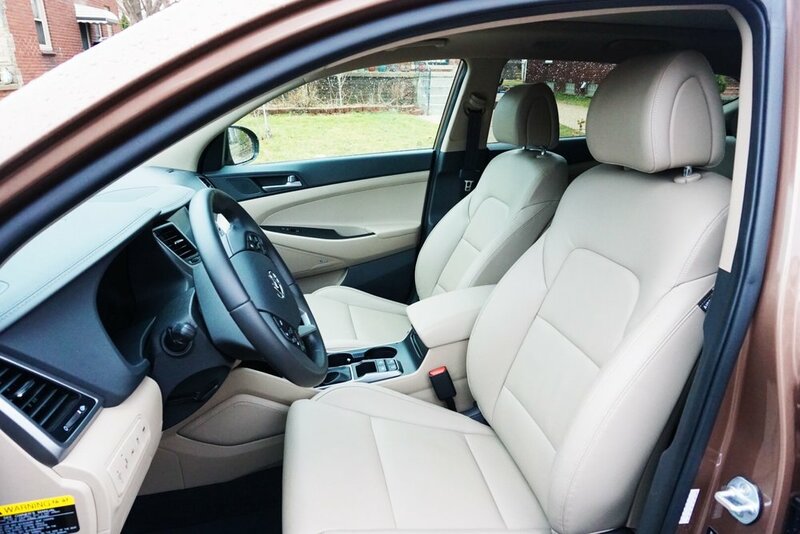 The seats fold down for added room in case of traveling and you can also cater to the temperature needs of your passengers with the dual-climate control settings. I loved how convenient the display screens are and that I can effortlessly control multiple settings at my fingertips right on the steering wheel. This is definitely a great car to consider if you’re looking for these features!